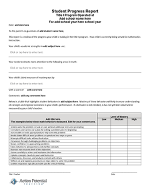 Reading Behaviors Forms- Adapted from the work of Fountas and Pinnell, these forms break down the reading behaviors of students by grade level. 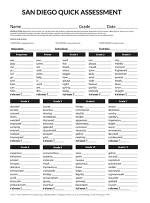 Use this as a tracker, gauging student reading behaviors over a period of time to ensure each student is demonstrating mastery of reading behaviors expected at their reading letter level. 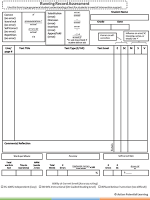 Running Record Form- This standard running record sheet can be used to assess reading level for your students. 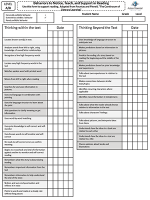 Use the San Diego Quick Assessment tool, found here to assess your students' reading level quickly and accurately. 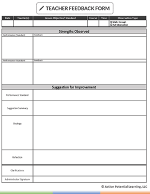 Progress report template- Use this student progress report template for your intervention work with students to help involve parents in the child’s learning at school.